Tonight while putting Cholita to bed, I noticed we were not alone. The penguin wore argyle and the cat sported a sequined collar. 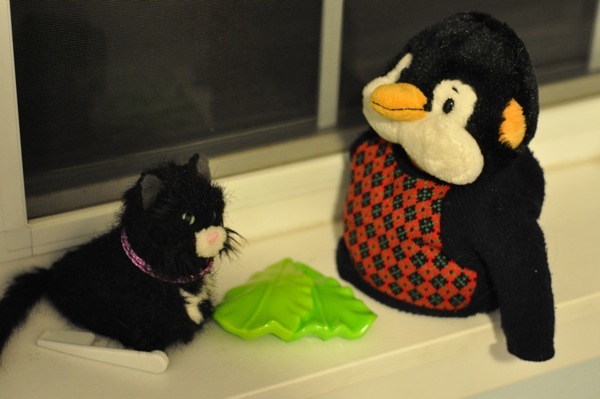 Mr. Penguin's trying to lose a few pounds, so he ordered the lettuce. 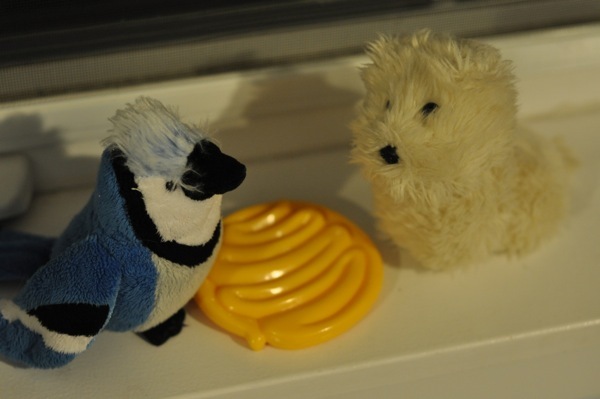 On the other windowsill sat a blue jay and I believe a dog of some sort. All the trendy restaurants now are serving Cheez Whiz. 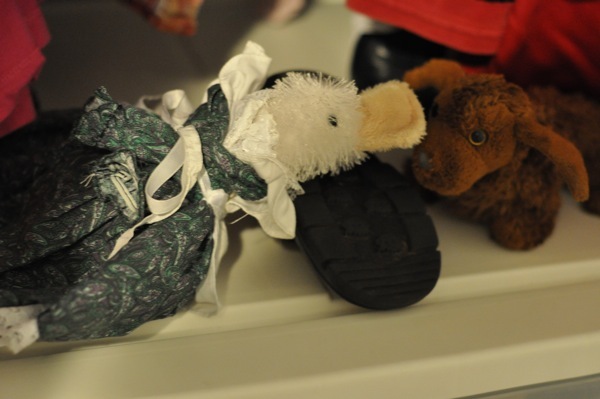 sat prim and proper while her date, the fox, whispered sweet nothings. locked eyes over a piece of toast. There's some serious chemistry going on here. while her date, the dachshund, found her a bit forward. They were still waiting to be served. 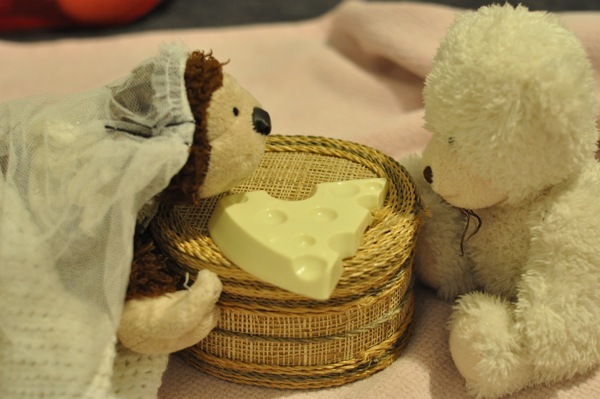 their love over swiss cheese. 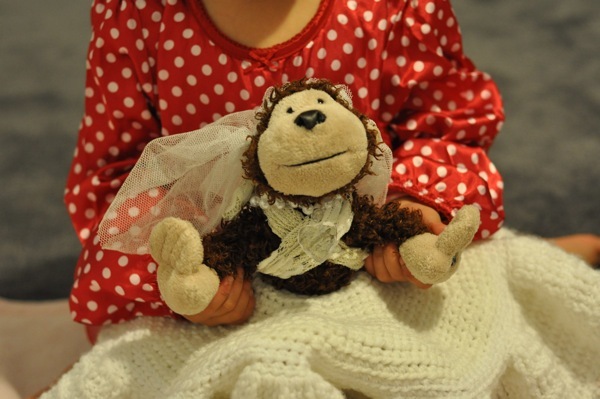 The monkey was adorned in a crocheted skirt, revealing halter top, necklace, and veil. 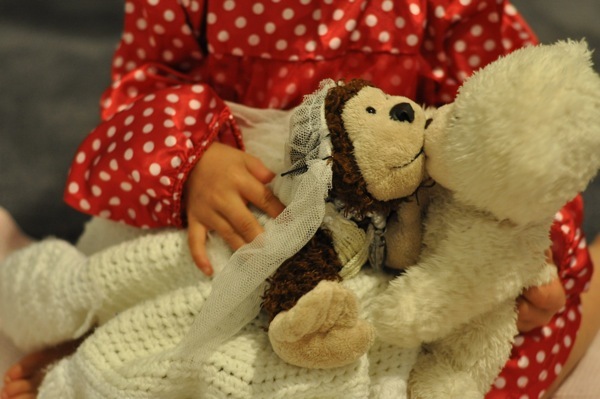 Evidently she had just married the polar bear. And was eager for some alone time. Cholita scares us more than a little. Baaaah Haaahh!!!! I love her! It definitely looks like spring! I love how they all were on a date night. Such sweet things scattered around your home! Thanks for stopping by my blog, I'm going to have to stop by for a visit again with you. :) Love is in the air. 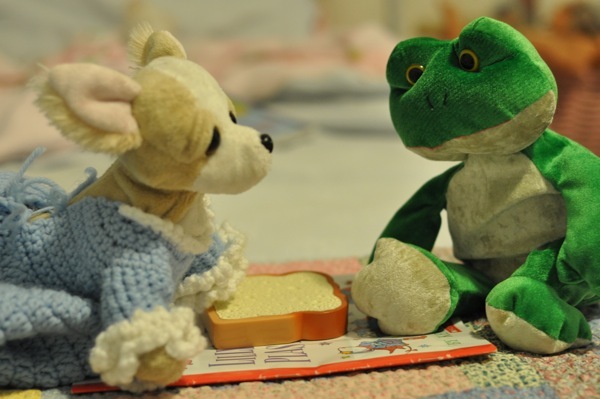 The Frog is asking the Chihuahua "Are you gonna eat that?"